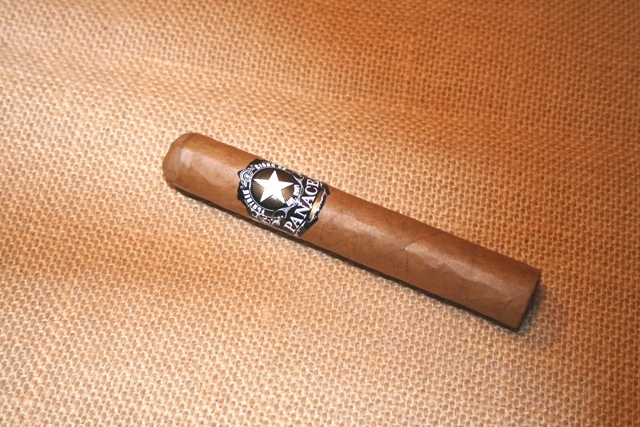 This cigar burns well, has a pleasant aroma, easy to smoke and the only thing it gets a bit stronger towards the end. I have been smoking Panacea cigars for a while and have enjoy them.. The cigar had a very pleasing brown wrapper. It was not oily. It felt fairly firm though I did have trouble punching the cap. The cap caved in a bit when punched tearing the wrapper at the cap leaving a small loose piece of wrapper. The cigar lit easily and produce a nice volume of smoke. The cigar has a pleasant aroma that is not strong and overwhelming. The smoke is mild. There are light hint of pepper and coco. The cigar was smooth through out the smoke. It was a bit stronger in the last third, but it was still pleasant until the end. I would recommend this cigar and I will certain purchase them again. I first tried this cigar at a Celtic Festival and was very impressed. A smooth creamy taste and nice even burn. Never gets harsh, stays smooth all the way to the end and makes for a great smoke anytime. A quality product that is sure to satisfy. One of my favorites! Nice smooth taste, no touch ups no burns outs. Ash held on until most the end.....I love when this happens..... Panacea cigars are made with perfection, i think I have tried all of them.....all A+. Excellent Smoke. It burns well and is a clean smoke all the way to the end. There is a hint of creaminess throughout the whole smoke. It stays mild throughout as well. I tried this with a California Merlot. The Merlot enhanced the creamy flavor. This a is good afternoon smoke. I've tried several Panaceas. I haven't smoked a Panacea that I haven't liked.